Hello! 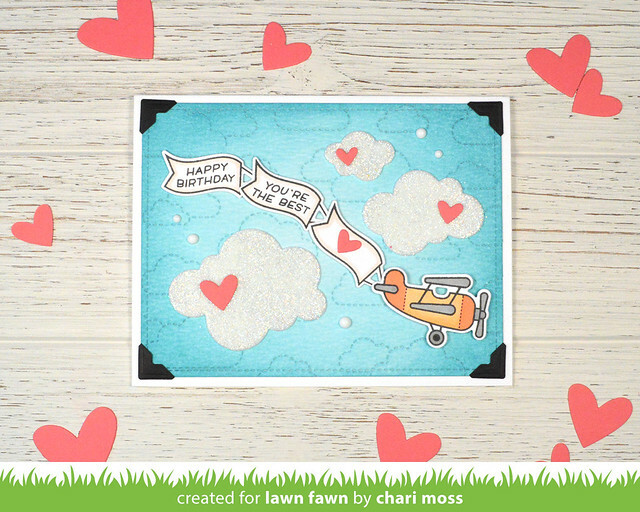 This week the Lawn Fawn design team is teaming up with Scrapbook Adhesives to share some projects using both brands of products! I actually used quite a few Scrapbook Adhesive products on my card. I used the black photo corners to adhere and frame up my background panel which I die cut with an outside in stitched rectangle and the stitched cloud backdrop. The background is inked with tumbled glass and broken china distress ink. I also die cut some of the adhesive foam sheets with the simple puffy cloud dies and coated them in Prisma glitter. I used foam adhesive squares in both the regular thickness and the thin (which is my favorite) and finally I used the Mini Dotz to adhere down all the die cut hearts. 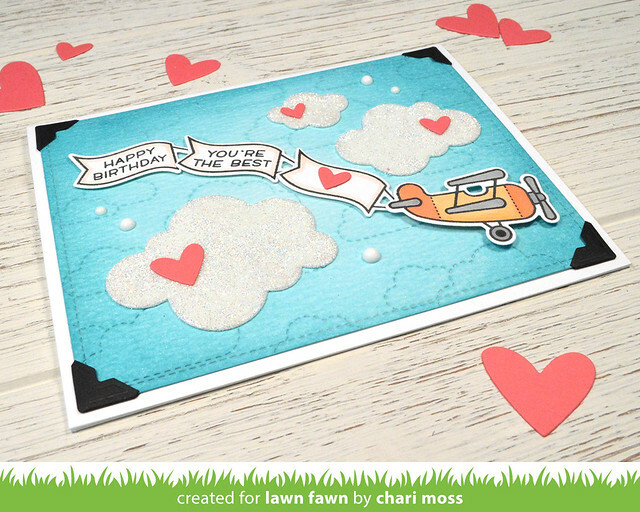 Check out the Lawn Fawn blog for projects using Scrapbook Adhesives all week long. Such a cute card for a little boy! Great job! That's an absolutely adorable card ! I love black photo corners, that's a good idea, and these clouds are sooooo cute !! Congratulations !